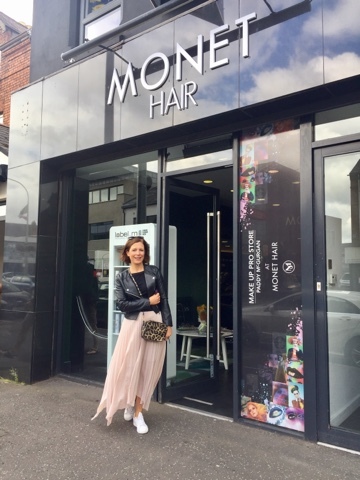 UPDATE - Monet Hair has ceased trading but in Belfast, I can recommend Rogue By Jody for the original Brazilian Blow Out Treatment. Today I had a treatment on my hair that I've been wanting to do for ages. And I know it's only day 1 but I'm excited to share with you as my hair feels AMAZING. It's a QOD 16 Week Blow-Dry, available exclusively in Northern Ireland at Monet Hair on the Lisburn Road. So to set the scene, my hair is thick, coarse and with a bit of a kink hair and needs to be worked with after I wash it myself. 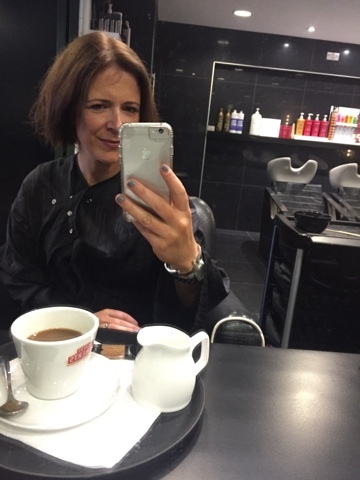 So much so, I mostly can't be bothered and I regularly pay for a blow dry so I don't have to deal with it myself. And here's where the thick coarse hair becomes a winner because a professional blow dry lasts me a full week. But with my swimming lessons and the summer holidays, it's been difficult to book blow dries and to get the full week out of them so when I add up what I spend on my hair over a period of 3-4 months, I figured this was worth a try. The treatment starts with a cleanse of the hair, after which Lee blow dried it with no product. The treatment is basically like getting your colour done. Lee worked in sections, brushing the product onto the hair and combing it straight. The product is blue'ish in colour.. Here I am completely covered and then the waiting began.. In total, it was like a colour too in that I waited about 30 minutes for it to take and then my hair was rinsed. There's a bit of the product left in the hair to keep working its magic after you leave the salon. After rinsing, the hair is dried straight, left to cool and then straightened with irons. It doesn't just look fab after all this, it feels amazing too...soft and silky. Here's the best picture of it afterwards but mainly because it contains a puppy!!! This is Lee's French bulldog, Elizabeth Taylor (but she's a he) and he's just the cutest. In love. 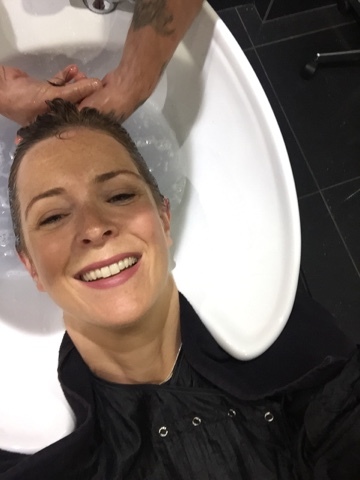 After the treatment, you can't tie your hair up or get it wet or sweaty for 48 hours while the product continues to work but once 48 hours have passed, you can wash, colour, style etc your hair as normal. If you're having a salon blow dry during the 16 weeks, it will be easier for the stylist as your hair is so much smoother and silkier. You need to use sodium chloride free shampoos after the treatment. QOD sell their own via each salon who does the treatment or you can chose to buy your own also. It does lighten your hair a little - be aware of that....I am loving the ever so slightly lighter tint. The cost? It's £140 and if you want to buy the shampoo/conditioner, it's £30 extra. 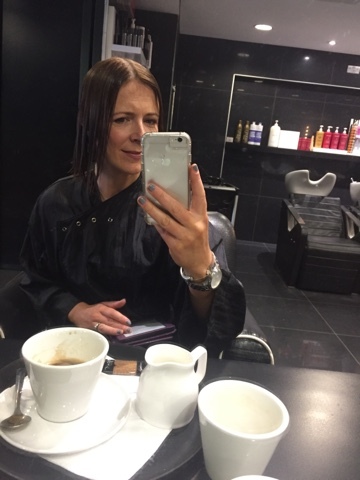 It's been a while since I wrote the blog above but I have had so many people ask me about the treatment so I thought I better tell you how I got on with it after the 16 weeks had passed. I would say that I got about 10 weeks of fabulous hair that needed little or no extra manipulation (i.e. straightening). 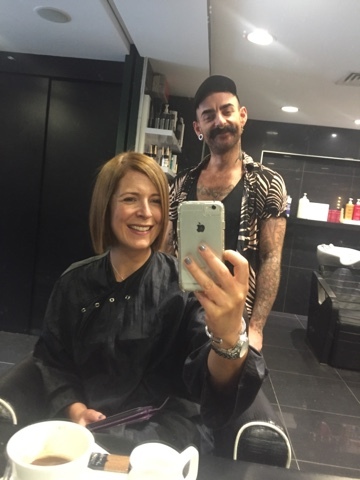 After that, I did return to my weekly blow dry though my hairdresser said that my hair was much easier to work with and took less time to style for a number of weeks after that. The best bit about this treatment is that I was able to grow down my hair so easily. The relaxing effect of it gave me some length immediately and the silky smoothing finish meant that my hair just hung so beautifully for 12 weeks or so, which was just enough time to get me past that awkward mid-length stage which for me is a difficult one as my hair tends to grow out, rather than down! Would I have it done again? 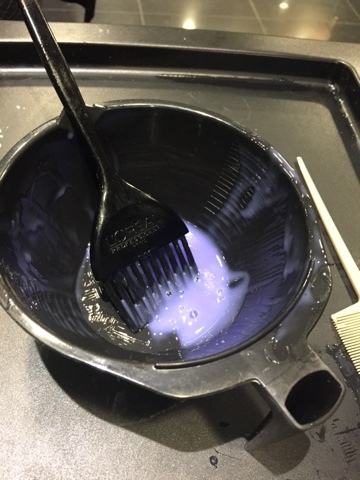 There is a perm lotion pong with this treatment which is quite strong. It lasts for about 4 weeks and is most noticeable when you're using heat on your hair. I tolerated it but my kids hated it! Just to bear in mind if you're thinking of having the treatment. Perhaps ask your hairdresser about it. I've heard since that the other treatments are less smelly than others. Again, it's hard to know about this without having tried others. Please do comment if you have any experience of this as it's so helpful for everyone reading - and for me! Regarding the salt free shampoo - I managed to find a good one in TK Maxx so that's a good place to look if you don't want to buy the salon one. Watch out for versions of salt in the ingredients list - basically anything with sodium mentioned is a salt derivative from what I can tell. It doesn't have to be called sodium chloride. Equally, watch out for sea salt ingredients that some natural shampoos use! As always, if you've any questions, please just ask! Disclaimer - I was offered the treatment at half price in return for an honest review. I paid the full RRP of £30 for the shampoo and conditioner. I'm not being paid to write this and as you know, the words are always my own! Your hair looks gorgeous! Is it specifically only for thick, coarse hair? Would it be no good on fine, thin hair? Another question - your swimming lessons. Could you blog about that a bit? I have toyed with the idea of taking adult swimming lessons and there are some available at my local YMCA, I'm just a bit shy about it. Thanks! Hi Patricia, sorry for the delay replying to this! So it works on all types of hair yes, though the results are more noticeable I'm guessing on coarse hair. What a perfect post! 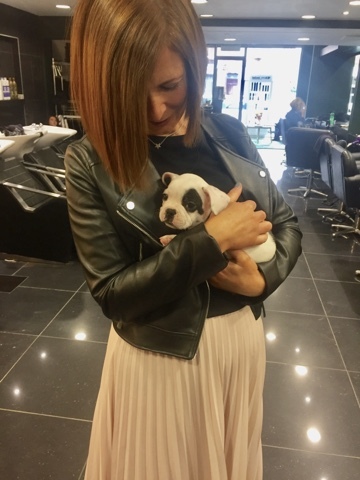 Great hair, lovely clothes and a cute puppy too. Wishing you well after your injection and hope you are pain free and mobile again soon. Sharing your journey with the pain I hope helps you as much as you help others in sharing your story.